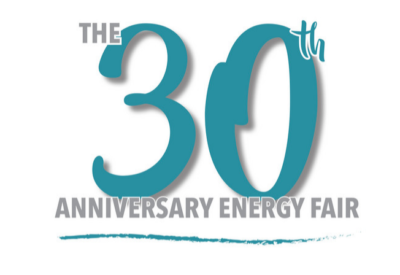 Perspectives on 30 Years of Clean Energy and Sustainability. As we approach The 30th Anniversary Energy Fair this June 21-23, we’re examining how the market, and practices of clean energy and sustainability have changed in the U.S. over the last three decades. We’re conducting interviews with advocates that have stood by MREA and The Energy Fair since the beginning. In October 1973, people in the United States learned firsthand how dependent we were on oil produced in the Persian Gulf. A few months after the Organization of Arab Petroleum Exporting Countries proclaimed an oil embargo on the U.S. (and other countries that supported Israel in the Yom Kippur War), the price of oil quadrupled. This led to price caps, rationing, and a cascading foreign policy effect. By 1990 when Iraq invaded Kuwait over oil-pricing and production disputes, the US was quick to enter the first Gulf War, including naval bombardment, air forces, and ground troops. This also led to a call for local energy action in Home Power Magazine, the opening of The First Energy Fair, and formation of the Midwest Renewable Energy Association. Fast forward to today, much has changed: Home Power printed its last magazine this year, solar and wind are the leading source of new electricity generation in the US, the US is set to be a net exporter of oil and gas, and yet the US is still embroiled in conflicts across the Middle East. View the interviews as a PDF, or keep scrolling to read online. For some perspective on how renewable energy has changed over the last 30 years, we talked with longtime MREA Member, John Dunlop who has been supporting renewable energy development since our beginnings. MREA: John, thanks for sitting down with us to provide some perspective on how the U.S. renewable energy market has changed over the last 30 years. To get started, please tell us a bit about yourself and your work in renewable energy. John: Even before the 1973 oil embargo, I had graduated in physics and mechanical engineering, and my wife and I had devoted two years serving in India in the Peace Corps. While I was there, I observed the dire need for energy and abundance of solar power. I built my first solar water heater and we had the only hot shower in our town! I made the commitment to try to expand the use of solar power for everyone. After I returned to Minnesota, I was gratified that I was hired to head up the Minnesota Solar Office under the Carter Administration as a part of the Mid-American Solar Energy Center. After the Reagan Administration shut down the program in the early 1980’s, the State of Minnesota continued our program for a total of 15 years. We launched statewide programs in solar water heating (with 5,000 solar water heaters installed), passive solar design residences, the state’s wind resource assessment program, and cost-effective photovoltaic applications for state government operations, even in the 1980’s. Our office participated in the establishment of what has become the Interstate Renewable Energy Council and the Solar Rating and Certification Corporation, both of which I had the honor to chair. Our office helped host the 1983 ASES conference in Minneapolis, and led the 1995 ASES conference, which I chaired. I was then with the American Wind Energy Association as the regional manager and technical programs manager for 20 years. We saw the explosion of wind power across the US during that time, and I participated in the establishment of the Small Wind Certification Corporation. I have been a technical policy consultant since 2014. MREA: John you sure have had an impressive career! In your time working in renewable energy, what changes have you seen, and what has surprised you the most? John: Perhaps the most surprising revelation for me has been how hard facts do not influence people to action. We developed a wealth of information about the cost-effectiveness of solar water heating, photovoltaics (in appropriate applications), and wind power over the years, and promoted those facts in various venues, yet still relatively few people adopted those technologies at the time. Fortunately, the current solar and wind industries have built on those meager bases to become the powerhouses for future electricity supply in the nation and across the planet. MREA: With all of this change, what challenges have we overcome and what challenges remain? John: Our early programs helped to shake out technologies to produce the most cost-effective and durable wind and solar systems. Technology improvements have led to the solid track records in wind and solar on which policy-makers can confidently base their drive to increase the use of clean energy. The harsh reality, however, is that over the period of my career, we have all failed. I first heard about the “greenhouse effect” back in 1971 in grad school. Understanding the consequences of using carbon fuels has driven many of us to push the transition to clean energy. No matter how we paint it – wind power is the cheapest electricity source available, solar power costs have plummeted hundreds-fold, awareness of the climate crisis is at an all-time high – our efforts have been inadequate. We are still on a course for self-annihilation as a civilization on this planet. We have not succeeded in reducing greenhouse gases in the atmosphere. The carbon pollution we have emitted is already causing upheaval to a civil society and is destined to become worse. MREA: And finally, what makes you most optimistic about the future of renewable energy? John: In the context of that current assessment, optimism seems naïve. But I truly believe we’re at the “tipping point” of public policy. We have already caused a 1 °C increase in planet temperatures over pre-industrial times. But movements are swelling daily to DRAMATICALLY increase our insistence on no-carbon energy, nation- and world-wide. The recent UN and Trump Administration reports clearly provide a path to avoiding more than another 0.5 °C maximum increase in world-wide temperatures – kicking carbon within a decade! We CAN DO IT! Within even MY lifetime! It will be dramatic. It will not be devastating. It will be challenging. We have the clean energy resources. We need to build the conversion equipment (wind and solar) and the delivery system (high voltage DC) to supply everyone with clean electricity for everything in their homes, their businesses, their transportation systems. It will be a monumental transformation and a huge economic opportunity ramping up immediately. Through all of this change, state policy has determined whether and when markets for clean energy technologies flourish or languish. For some perspective on how policy battles for clean energy have changed over the last 30 years, we talked with Michael Vickerman from RENEW Wisconsin. He has been fighting for supportive policy action since our beginnings. MREA: Michael, thanks for sitting down with us to provide some perspective on how policy battles for clean energy have changed over the last 30 years. To get started, please tell us a bit about yourself and your work in clean energy policy. Michael: Since 1991, I have worked for RENEW Wisconsin in various capacities, including as Executive Director for nearly 20 years. Understand that from a staffing perspective, RENEW was a one-man operation in its first 10 years, and that the term “Executive Director” was code for Director of Everything, which included data entry. Renewable energy was not on the map when I started working for RENEW. That said, the only native energy resources in the state, then as today, are renewable in nature: wind, solar, hydro, fiber, and organic wastes. The task before our Board of Directors and myself was to figure out how to put renewables on the map and make it relevant to the 99.99% of Wisconsin residents who were not members of RENEW. What unfolded from that moment forward was a combination of basic education and specific policy proposals to move renewable energy out of the wilderness and integrate it into our daily lives. MREA: What noteworthy changes have you seen over the last 30 years? What has surprised you the most? Michael: When thinking about where we are today, I continue to be, pun intended, blown away by the engineering advances in the renewable energy world—especially in solar and wind—since 1991. The first wind farm in the Midwest was built in 1994 in a section of Minnesota called the Buffalo Ridge. When you look at pictures of those ungainly contraptions with their black blades spinning above stubby lattice towers and compare them with today’s turbines, with blades almost as long as the shiny and tall tubular towers projecting into the sky, the differences could not be more stark. The 1994 version is a lab experiment involving a promising prototype, while the 2019 version is—dare I say it—a fully mature power plant. I am no less astonished by the transformation of solar photovoltaics then I am with wind power. Twenty five years ago, electricity production from photovoltaic cells occurred only in calculators and spacecraft. In those days, there was no point of contact or overlap in the Venn diagram depicting solar PV and electric utilities. Today, solar electricity is generated on houses, commercial buildings, and open land. It has become a desirable alternative to growing corn on your land. The fact that wind and solar have become the default energy resources for electric utilities is by far the most noteworthy change I’ve seen in my 27+ years with RENEW. MREA: Are the same groups still fighting on either side of the issue? Have you seen groups change their position in support of clean energy? Michael: Unlike the situation, say, 10 years ago, renewable energy resources are today fully cost-competitive with conventional energy sources. We know that now, and, significantly, so do electric utilities, which have been the principal targets of our clean energy advocacy since Day One. Ten years ago utilities and clean energy advocates quarreled over the question of whether to increase supplies of renewable energy. Especially in the solar energy arena, the fault line in this conflict has since evolved from the question of “whether” to the question of “in what form.” While utilities are now on board with solar as a bulk energy resource, most remain resistant to the idea of customers generating solar electricity for themselves. We have a few utilities in Wisconsin that regard solar self-generation as an economic threat that needs to be contained if not outright throttled. MREA: What challenges have we overcome and what challenges remain? Michael: The journey we have undertaken with renewable energy has covered a great deal of ground. At the outset we had to demonstrate why renewable energy is relevant to the state’s economic and environmental future, and not simply a fringe consideration. This challenge motivated advocates to characterize both the benefits from working renewable resources into Wisconsin’s energy mainstream and the risks of not doing so. It also required much thinking about the policy mix that would deliver opportunities and positive results for both utilities and customers, since the economics weren’t favorable for many years. In the previous decade, Wisconsin’s political leadership did a pretty good job of forging a consensus on clean energy policy, and the fruits of the clean energy legislation adopted in 2006 are readily apparent. However, much of that momentum has dissipated, a casualty of the 2010 elections and the resulting vacuum in political leadership that set in shortly thereafter. A very different attitude towards clean energy emerged in state government, one grounded in the belief that Wisconsin had more than enough generating capacity to power itself for the foreseeable future, so why add more renewables? Not surprisingly, wind power development slowed to a standstill here, and on that front Wisconsin became the undisputed laggard in the Upper Midwest. On the customer side of the picture, Focus on Energy’s renewable energy component survived a rocky stretch earlier in the decade and now is in the best shape it’s been since its inception in 2002. MREA: And finally, what makes you most optimistic about the future of clean energy policy? Michael: To begin with, public support for wind and solar is at an all-time high. Most citizens now know that these resources today are cost-competitive with fossil fuels and they also appreciate the fact that wind and solar avoid the environmental liabilities associated with coal or natural gas. The citizens of this state now expect their elected officials to take action. To that end, a growing number of cities and counties have set aggressive renewable energy and carbon reduction goals, along with implementation plans to achieve these goals. Parallel to those efforts, electric providers are adopting aggressive carbon reduction goals of their own and have begun in earnest to acquire utility-scale solar and wind, which they say will lower their operating costs. It’s worth noting that this transition is happening without a policy driver at the state level. Though the transition is proceeding in a piecemeal and scattershot manner, it is happening and its effects are noticeable. Which leads me to my final thought. Yes, we have a very divided state government today, but with the election of Tony Evers as our new governor, we will see positive leadership at the state level again after eight years of lethargy and drift. I am hopeful that his administration will find a way to put the State of Wisconsin back into the forefront of clean energy development, and devise policy pathways for enabling its local governments, school districts, utilities, businesses, and citizens to become fully powered by renewables. For some perspective on how approaches to sustainable and energy efficient construction have changed over the last 30 years we talked with Mark Klein, founding member of the MREA, current board member, and owner of Gimme Shelter Construction, Inc.
MREA: Mark, thanks for sitting down with us to provide some perspective on how approaches to sustainable and energy efficient construction have changed over the last 30 years. To get started, please tell us a bit about yourself and your work. Mark: I grew up helping my father build our family home and have used the basic skills and knowledge he shared with me for the past 45 years designing, building, and repairing homes in Central Wisconsin. I came of age in the early 70’s with the Whole Earth Catalog and the OPEC Oil Embargo, and was one of many young people pursuing a vision of sustainability, which was commonly called the “back to the land” movement. With a group of friends we acquired an old farmstead and lived in an old farmhouse for a few years; my wife, Ellen, and I started to build an off-grid home in the fall of1978 using salvage materials and hand tools. Forty years of evolving our homestead life off-grid has given us a pretty clear perspective on the challenges of sustainable lifestyles. Some friends and I formed Gimme Shelter in 1987, and we have been designing and building homes in Central Wisconsin for the past 32 years. MREA: What noteworthy changes have you seen in sustainable and energy efficient construction over the last 30 years? What has surprised you the most? Mark: The most significant changes have been in the evolution of the discipline of Building Science, which involves the application of data, testing, and analysis to the construction and performance of buildings. The biggest and most exciting “surprise” is the evolution and availability of photovoltaic electricity to homeowners. When we purchased our first two Solarex panels in 1979 we paid around $300.00 for each 30 watt panel, which is around $1,000.00 in 2019 dollars. Today for $1,000.00 you can purchase around 1,400 watts. Equally amazing are the inverters and controls, and now batteries, that have revolutionized our ability to efficiently capture and use this amazing resource. MREA: With all of the changes, what has stayed the same? Mark: Much of what is common practice in modern energy efficient construction today is the direct result of the innovations pioneered by progressive builders in the 70s and 80s. These early projects were an opportunity to observe, test, and refine best practices. We still strive to build homes that are durable, healthy, energy-efficient, and hopefully bring a little joy to the residents. MREA: Have people changed what they want in a ‘sustainable’ building? Mark: People still want utility, comfort, and beauty in their homes; we have become much more sophisticated in understanding the micro and macro implications of our decisions. MREA: And finally, what trends do you see that will influence the future of sustainable and energy efficient construction? Mark: The best homes being built today are constructed of environmentally-friendly and resilient materials, have high levels of air sealing and insulation, good indoor air quality using low VOC materials, and appropriate ventilation. They are generally all electric with grid-tied PV systems and air source heat pumps. A trend that I think is worth noting is the potential of carbon sequestration in home construction. Building homes which capture and store carbon by favoring wood and plant by-products is a simple way of utilizing the awesome power of trees and plants to help mitigate climate change. The MREA would like to extend a special thanks to John, Micheal, and Mark for participating in these interviews, and sharing their insight and perspectives on issues pertaining to clean energy and sustainable living over the last three decades. John serves as the Chairperson at SOLAR 2019, National Conference of the American Solar Energy Society. John has a long history of working in the public policy arena, and is skilled in sustainable development, renewable energy, and environmental issues. John is also a Member and supporter of the MREA. Michael serves as Policy Director for RENEW Wisconsin. He started back in 1991 to manage an intervention before the Public Service Commission and has worked for the organization ever since. Michael and the RENEW team work on policies and programs that expand renewable energy in Wisconsin. Mark is a founding member of the MREA, and served on the board for 25 years. He served as Vice President of the organization for half of those years. His business, Gimme Shelter Construction, Inc. of Amherst, designs and builds energy-efficient homes and masonry stoves. Mark and his wife, Ellen Davis, have lived in an off-grid home since the purchase of their first solar panel in 1979.